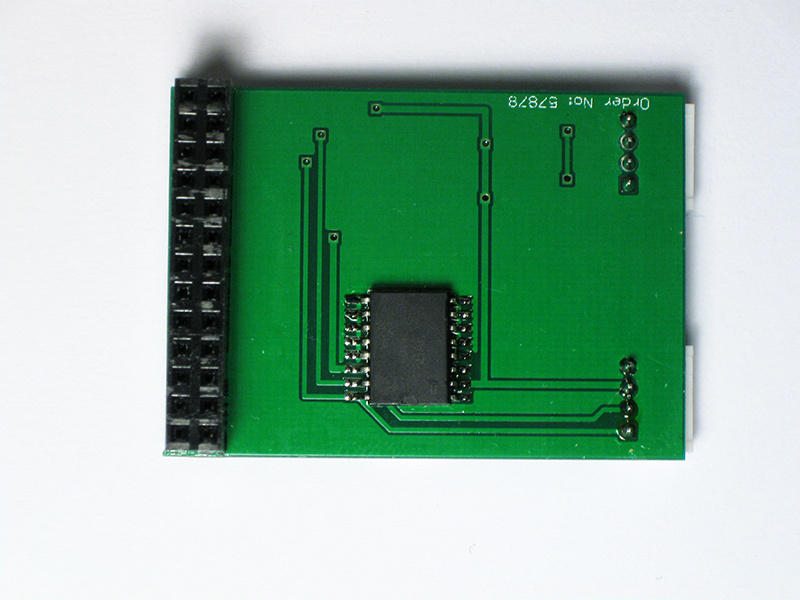 This version is one of my first Eagle PCB projects and the very first one to be manufactured. 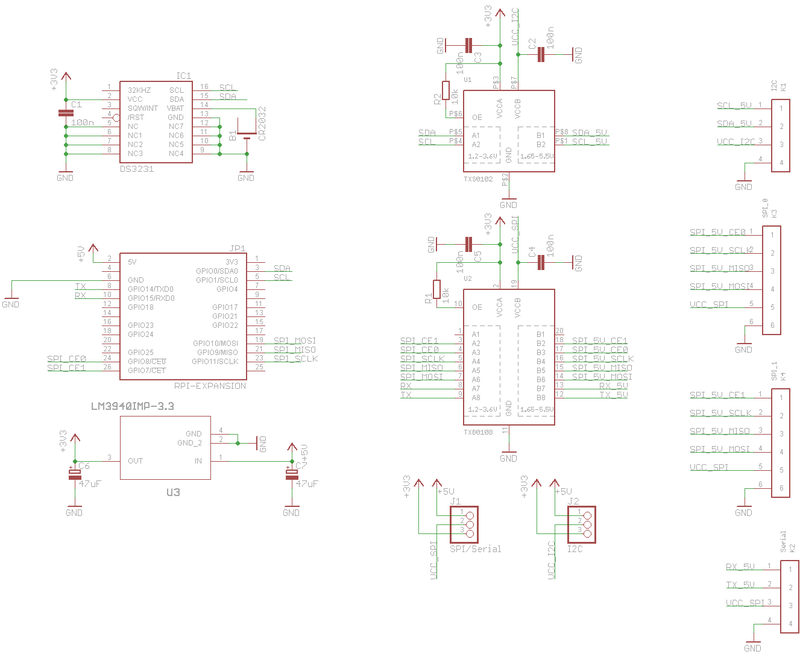 It provides two I2C interfaces – one with 3.3V signaling, the other one converted to 5V. 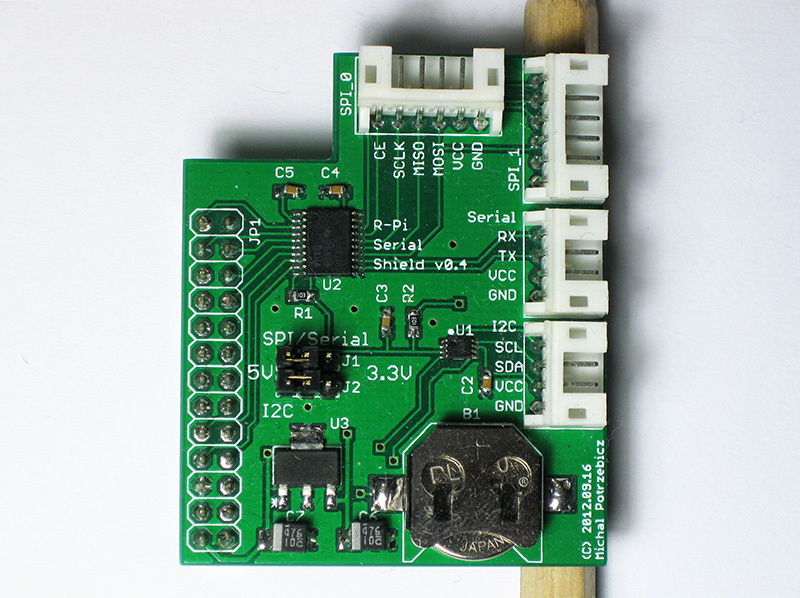 Converter is a simple, P-MOSFET based solution. 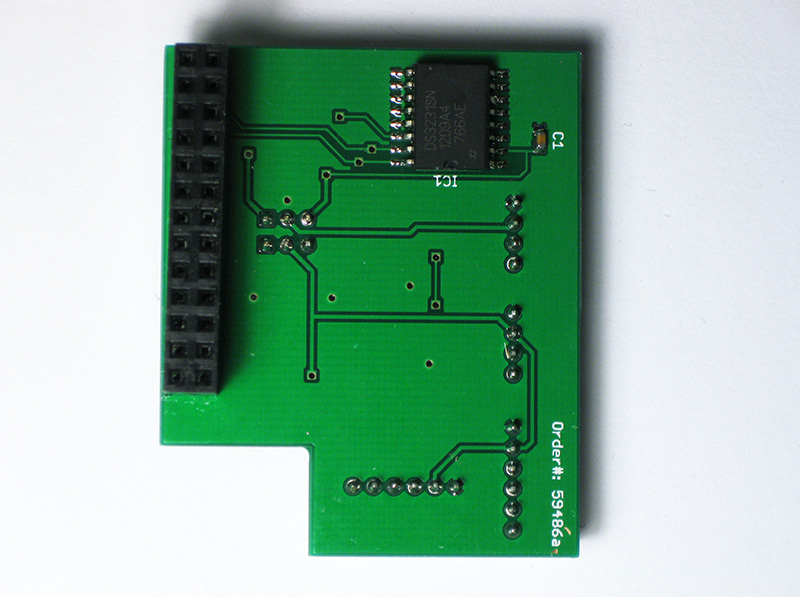 There’s also a RTC chip, the DS3231 – which I like very much for its integrated crystal – with CR2032 backup battery. 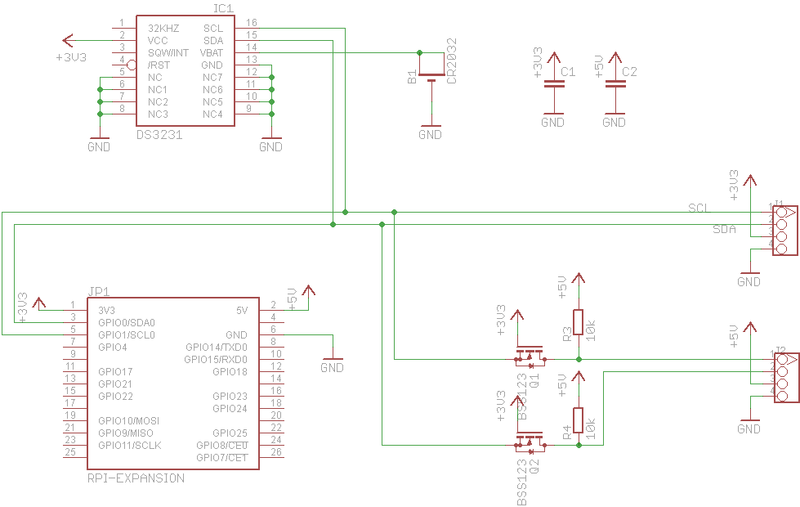 Note, that there’s no addition voltage regulator for 3.3V connector. External device power consumption is limited to 50mA. 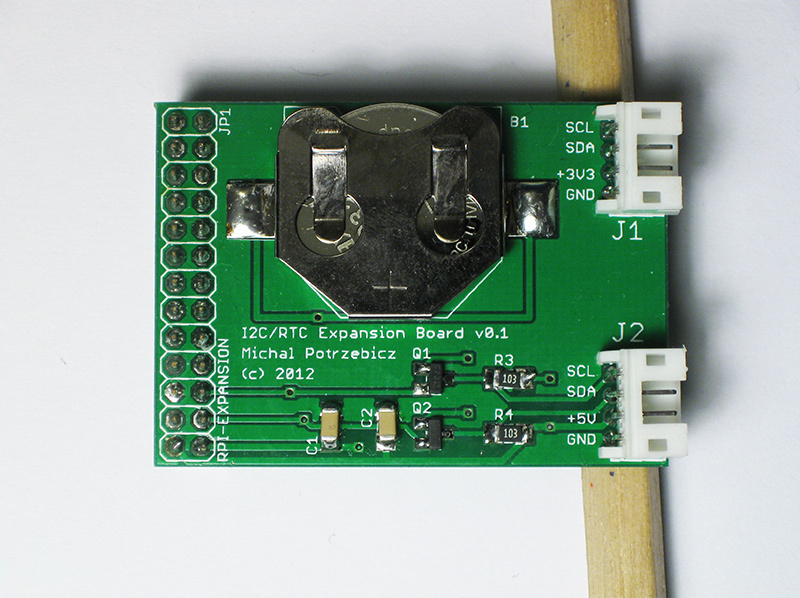 Board is also equipped with a 3.3V LDO voltage regulator providing (theoretically) current up to 1.5A, which supplies external bus connectors in 3.3V mode. It provides enough juice to drive some more power-hungry stuff. 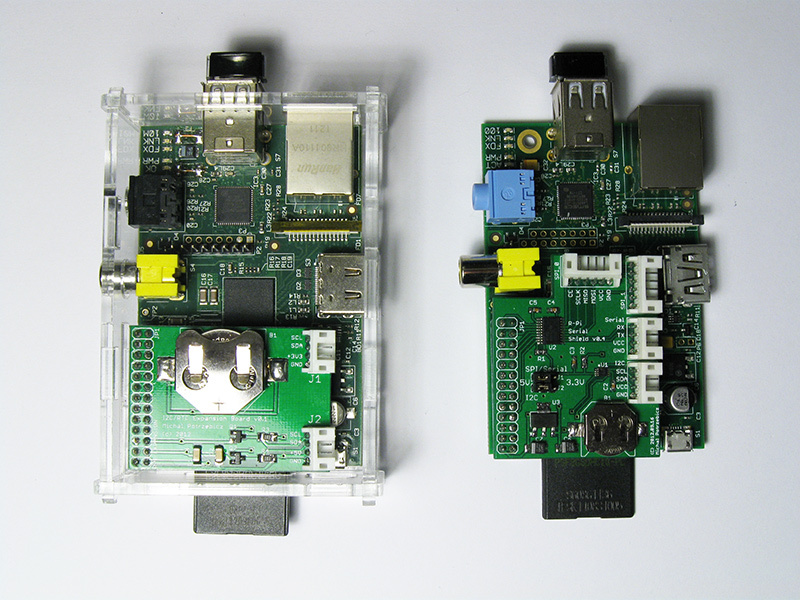 Of course, it’s limited by RPi’s 5V line (about 300mA in Model B). DS3231 RTC is also present, together with CR1220 lithium backup battery.